Polio is one the worst issues we are facing in Pakistan. 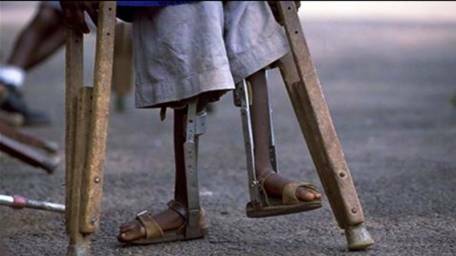 Though international world has helped a lot to eradicate polio from this land but it still cannot be ended with all those endeavors. Recently two fresh cases of crippling polio disease were confirmed in Quetta and Peshawar; which raised this year’s count to 35 across Pakistan. Sources in Baluchistan health department said to a national daily that polio virus was detected in Naqeebullah, a three-year-old boy residing in Eastern bypass area of the city while those in Khyber Pakhtunkhwa health department confirmed the virus in a one-year-old girl, Kainat. She is a resident of Sheikhan rural area of Peshawar. The polio victim in Quetta was reportedly administered vaccination drops at least seven times by health workers. Naqeebullah’s case came weeks after an anti-polio campaign in Quetta and other 31 districts of Baluchistan ended on September 17. We have witnessed instances of terrorism on anti-polio drive in both the provinces. Health workers have been attacked and killed, while refusal on the part of some parents has further worsened the situation. On the other hand Punjab will hold a polio campaign as part of Sub National Immunization Day (SNID) in seven districts of the province from 7th to 9th of October, Director General Health Services Punjab Dr. Zahid Pervaiz announced on Tuesday. The campaign will be conducted in the following high risk seven districts: Lahore, Rawalpindi, Multan, Muzaffargarh, Dera Ghazi Khan, Rajanpur and Rahim Yar Khan. The authorities along people from different walks of life are trying to mend people’s mind and doing a lot to counter this problem but in Baluchistan and KPK area it seems bit difficult. The residents are not willing to give their children polio vaccine which is causing risk to many.